It’s really not. Hard luggage is expensive and understandably so. 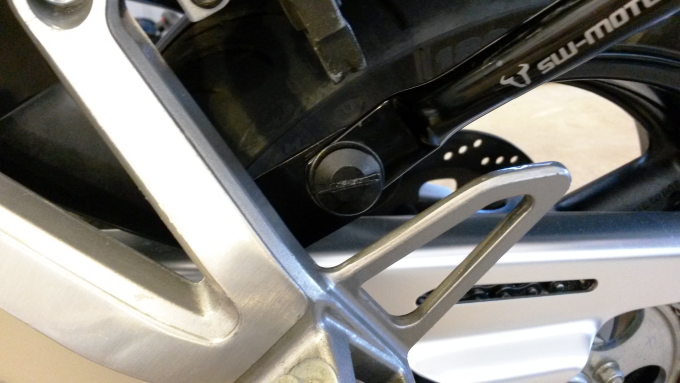 Much like with any other motorcycle product, safety regulations and aesthetically pleasing design amounts to numerous patents coming together cooperatively. For the price, riders should feel secure and informed in their final decision before pulling the trigger on such a lavish purchase. 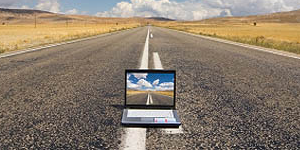 Said confidence is difficult to attain when most online explanations as to why you should buy one setup versus another are anchored in the self-serving advertisements of their respective manufacturers. The ads don’t lie, though. 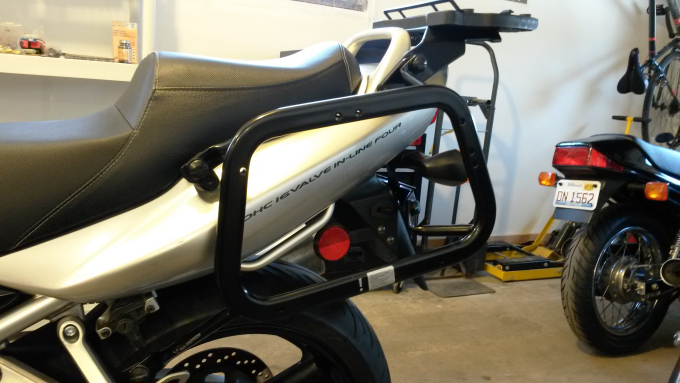 An itemized list of reasons to consider any given piece of motorcycle luggage tends to include precisely what makes it unique and individual (with a certain dignity at that). Some are sturdier than others and others more convenient than some yet none ever mention the competition because all have outdone each other in one form or another. See what I mean? Clear as mud. 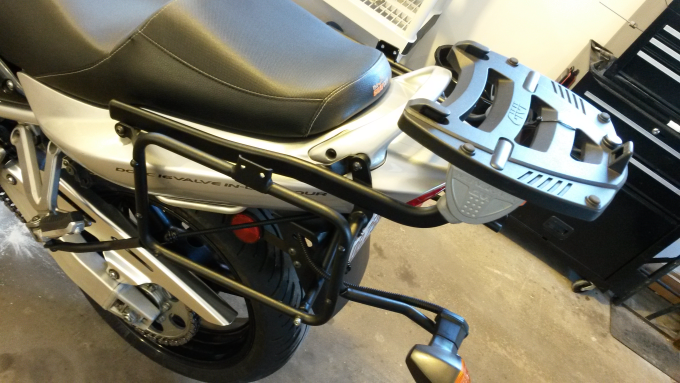 The truth, before we even begin, is that you need to know precisely what function you want your motorcycle’s hard luggage to serve. 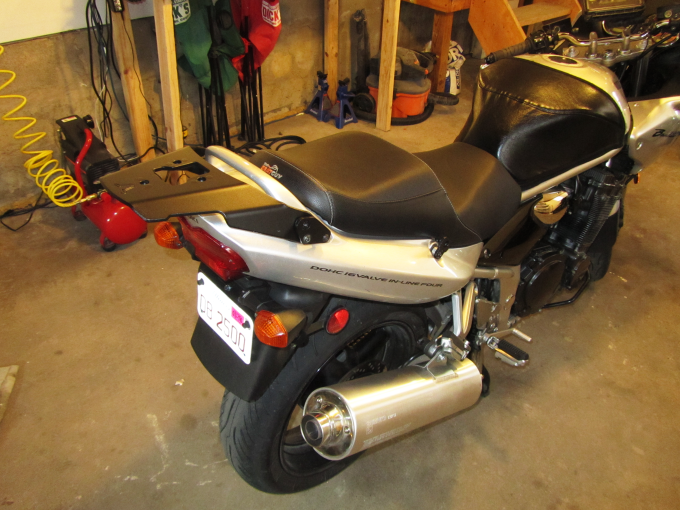 This website being about “responsibly aggressive” long distance road riding, we’ll assume that you’re on the hunt for something with twisties friendly ground clearance and enough storage for coast-to-coast travel. That narrows it down a bit. 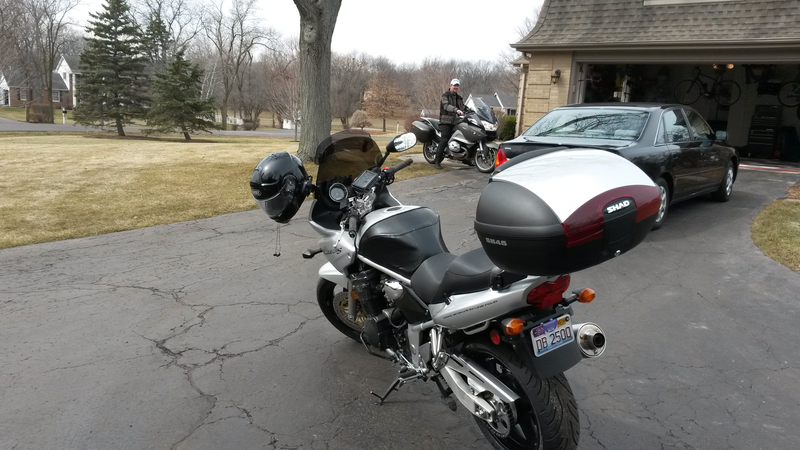 When my 2nd generation Bandit 1200 (pictured above with soft saddlebags) made it’s dealership debut, buyers had the option to include rebranded factory luggage that was developed by Givi, namely their V35 Monokey side cases. 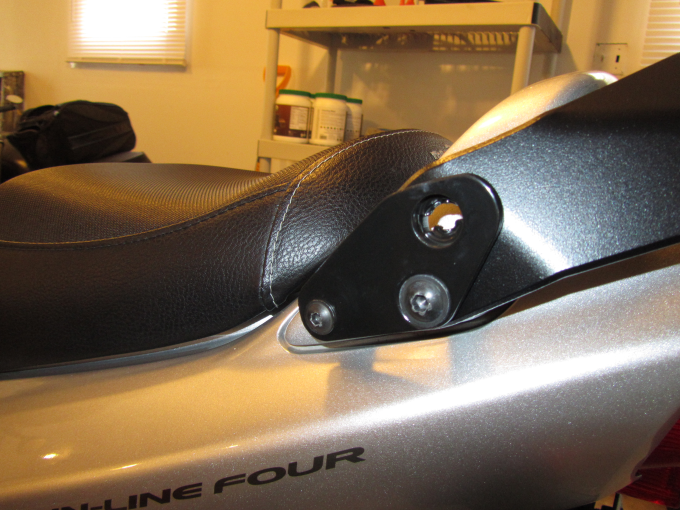 The streamline contours of these “modern/futuro” hard bags caught my attention from day one but to my disappointment, Givi ceased production of the V35 mounting hardware for my bike. At the time, I was pretty annoyed but less expensive mounting hardware and soft luggage panniers proved to be a blessing in disguise. 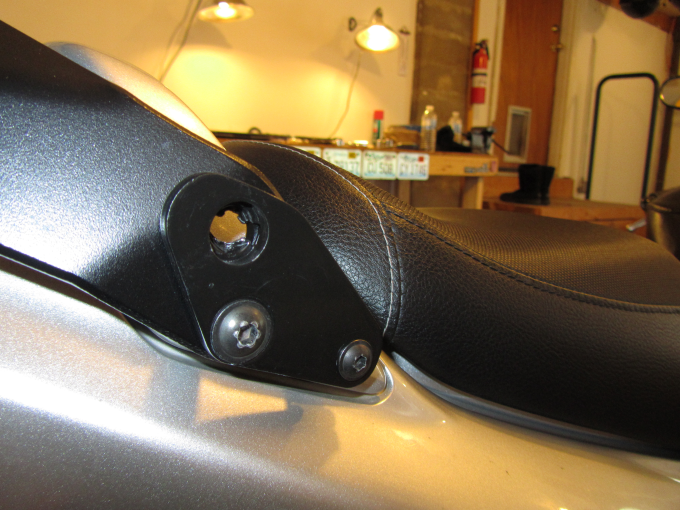 The mounting hardware I’m referring to (pictured in the gallery above) is a static installation that plays host to Givi’s less attractive, “flat back” Monokey cases. By “static installation”, what I mean is that once it’s on, getting it back off is a half-hour process. 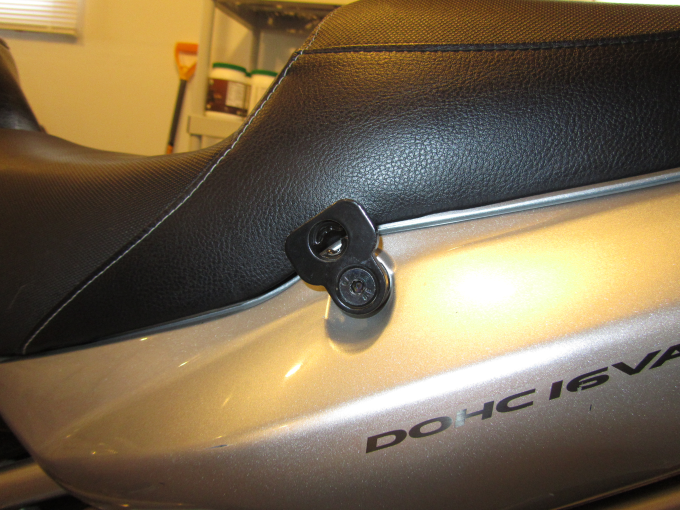 The idea that “quick detach” mounting hardware even existed never crossed my mind until a friend brought it to light. While SW Motech's maximum payload is less than that of static installations, it opens doors to a variety of motorcycle luggage options. Any experienced motorcycle enthusiast knows this pattern. It’s the very same pattern I mention in my opening paragraph: Buyer researches information. Buyer makes expensive “informed” purchase. Buyer is told by friend about more appealing option after the fact. 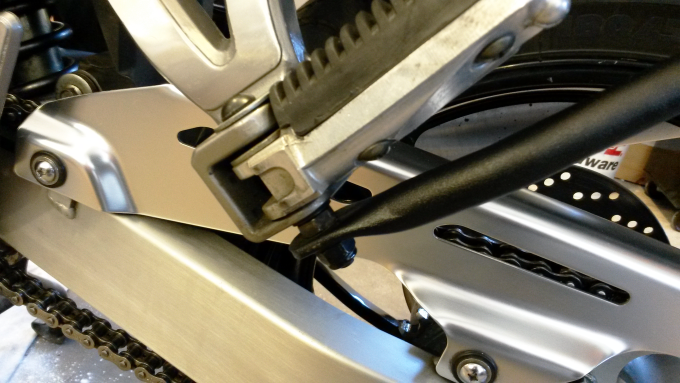 Learning of SW Motech’s quick-lock mounting kits was an inner-child revolution. Riding to a stationary rally before leaving both my luggage and it’s hardware at the hotel? Clearly this is a worthwhile convenience. Take my money! Wait … I’ve been in this position before. Let’s read up and think this through. Remember, I’m still rollin’ soft bag style and I’d like for that to change. Is SW Motech a reputable company? What do their bags look like? How much do they cost? Twisted Throttle is SW Motech’s US importer. A Google image search for “Twisted Throttle” or “SW Motech” plus “Quick Lock Cases” produces a range of stock manufacturer images from other companies, not many of which sport the SW Motech logo. What exactly’s going on here? I want removable hardware! Show me the catalog of SW Motech cases that are Bandit compatible! I soon learned the beauty of it. 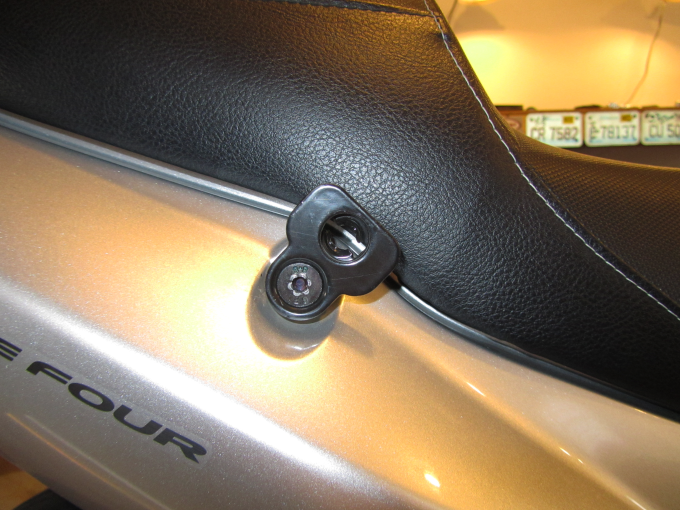 SW Motech’s quick-lock system acts as a universal adapter for a vast number of different motorcycle luggage brands and models. To the best of their ability, they’ve provided riders with an adaptive luggage mounting system whereby we can have our cake and eat it to. 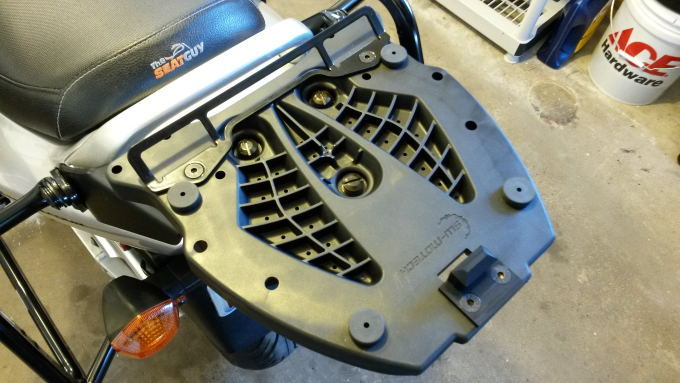 So long as they can verify your motorcycle’s make and model as being compatible with their mounting hardware, you can select and install a number of these side cases. 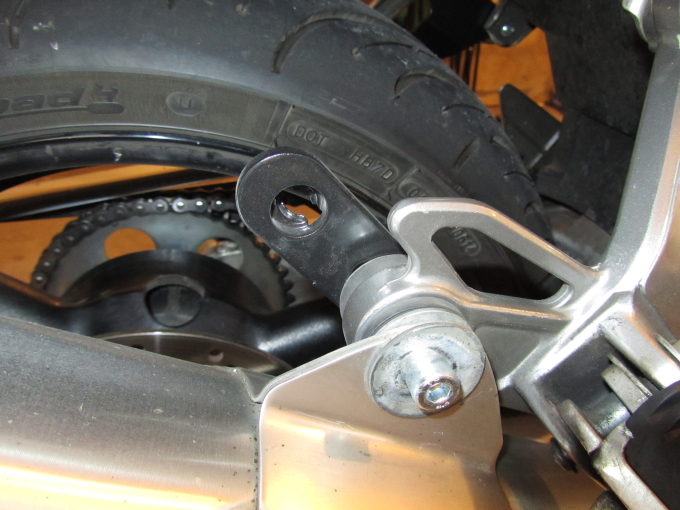 My V35s are listed but those are Givi proprietary and exempt from all things quick-lock. Don’t order the quick-lock system until you confirm your preferred luggage is compatible! 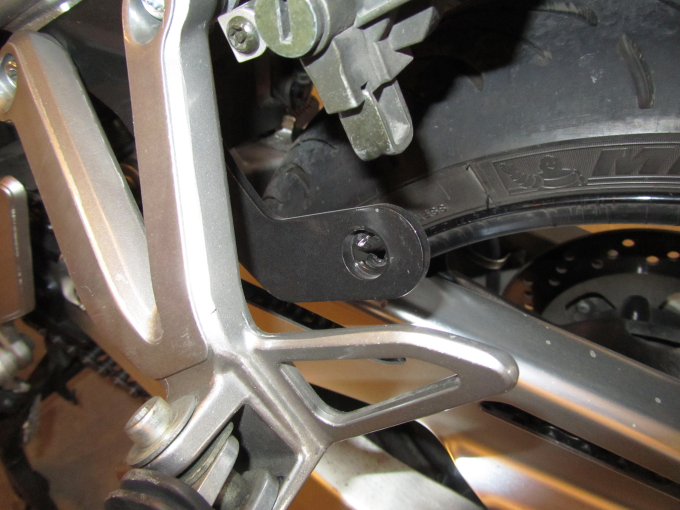 SW Motech has taken the luggage mounting information for countless motorcycle models and separated the bulk of their hardware’s design from small, secondary joists which are installed permanently at key locations. 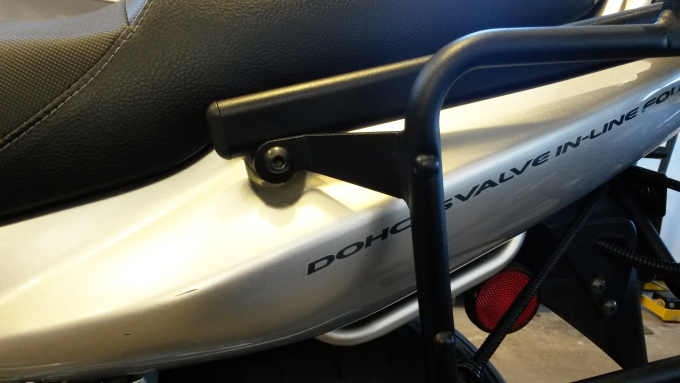 The bulkier sections of this mounting hardware can then be installed/removed quickly using nothing more than the 1/2 turn of a flat head on three or four locking screws (per component). 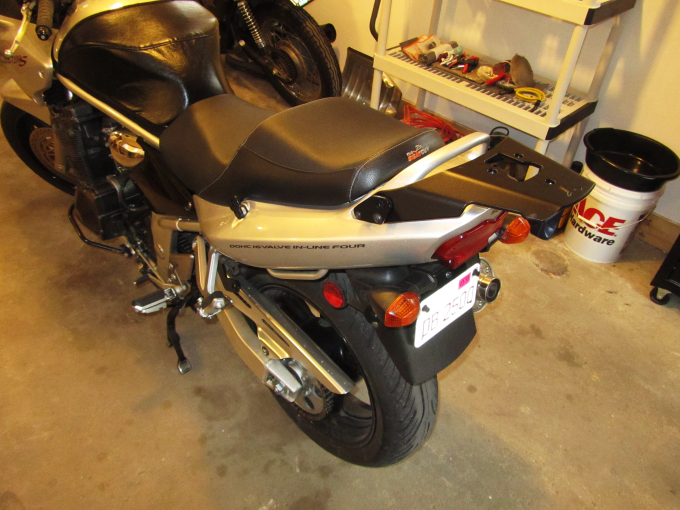 The transition from sportbike to sport tourer and back is easy! 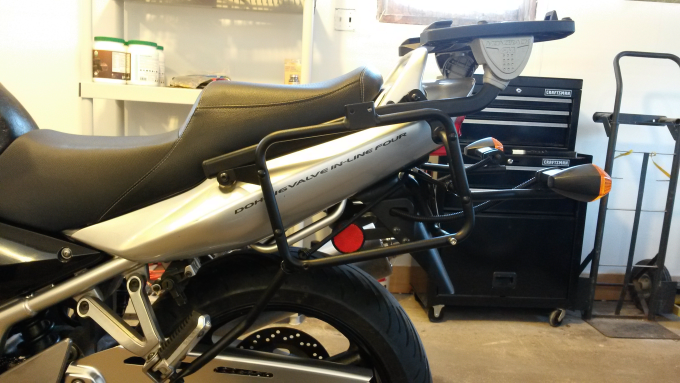 I’m extremely satisfied with how this system integrates with my motorcycle. I only wish I’d known sooner. A pair of Shad SH43 side cases are soon to arrive in concert with my already situated SH45 top case. There are a few pitfalls with my choice, however and It’s time that they receive mention. Remember, think everything through and balance the predicted end result before you order! 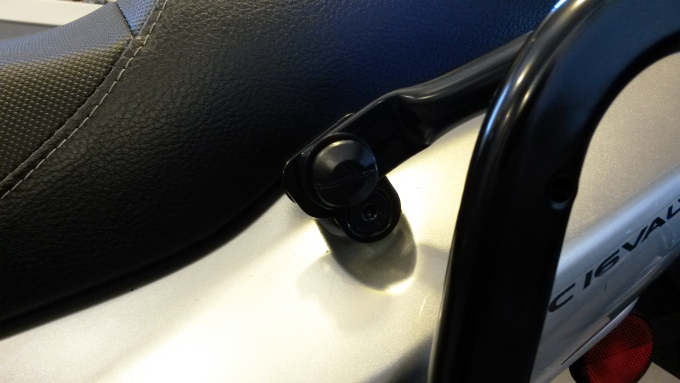 The E52 option is entirely removed when using SW Motech’s quick-lock hardware. They can’t safely support a top case of such volume. 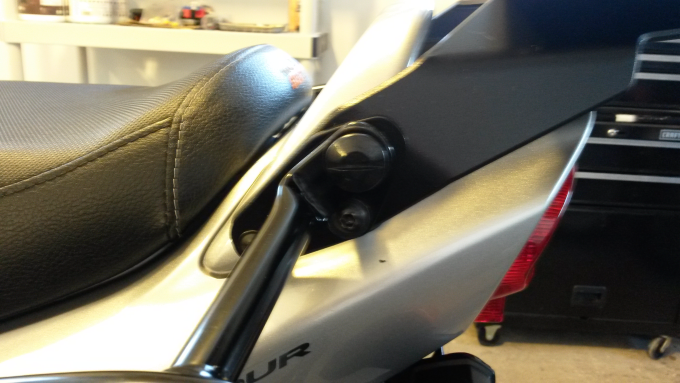 This is because they’ve limited their top case mounting points to the passenger grab bar only. I asked them over the phone how much weight I can haul using their system and they calculated a “total sum minus the weight of whichever case I purchase”. My SH45 weighs in at five lbs, leaving me with only ten more to work with. 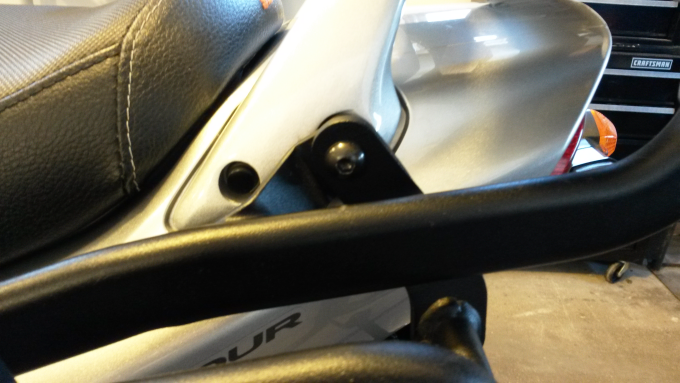 Fortunately, the quick-lock side case mounts are capable of handling a bit more. We’ll certainly find out this season! 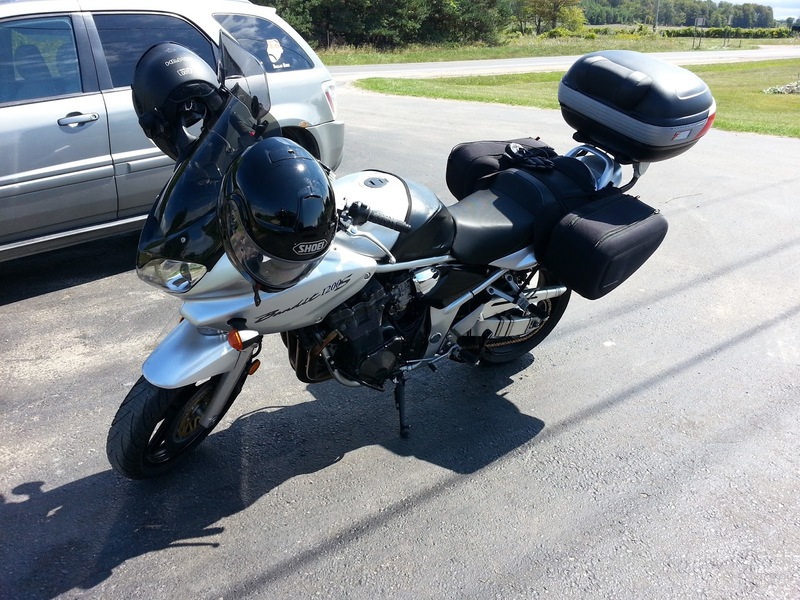 By now, you’re likely well aware that finding the “perfect luggage” for your motorcycle takes patience. Considering everything before weighing the scales is never easy. Maybe looks are more important than function or vice-versa. Everyone’s different. Either way, you’d be wise to allow at least three possibilities to keep you at odds until you’re ready to click that order button. Let’s not forget about fabrication! If you’re absolutely convinced that a factory-inaccessible luggage setup is the only way to go, you shouldn’t feel as though you have to compromise. 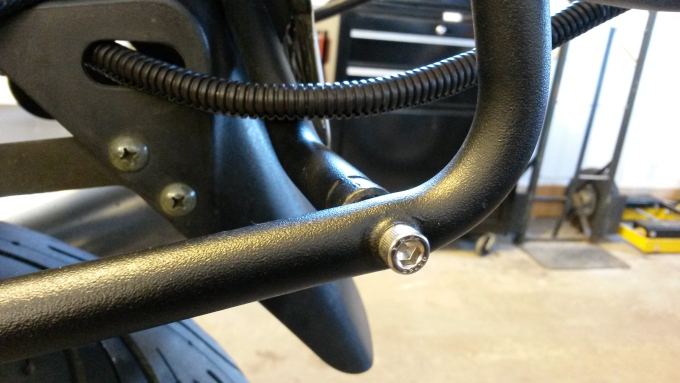 Buying it’s designated hardware for whichever motorcycle most resembles yours may be enough for a local guru to safely and effectively shape it’s structure. Consult them first to allow for concerns and resolutions. Their quote should reflect the project in it’s totality. 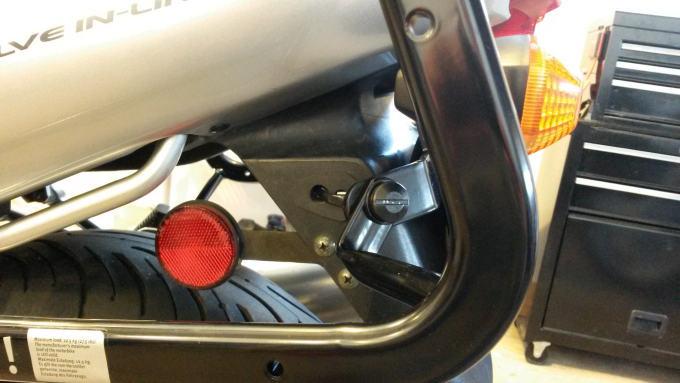 What Aftermarket Hard Case Motorcycle Luggage Are You Running? A handful of manufacturers seem to have the market cornered. Which brand is your favorite? What do you like about their luggage and why? Your input is invited. Post an article!